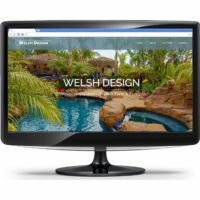 BPetersonDesign takes pride in developing fully responsive and functional websites in WordPress Websites and Custom Coded Websites. 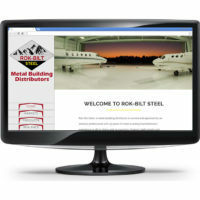 We work closely with our clients to figure out what kind of website represents your business best. 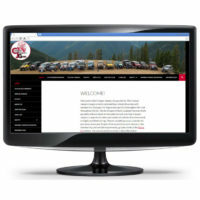 Your business website is most likely the first impression your customers have of your company. WordPress websites are the most common style of website designs online today. 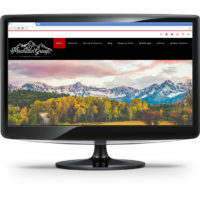 They bring a fully responsive design to your site, allowing customers to view your website from their desktop, tablet, and phone. 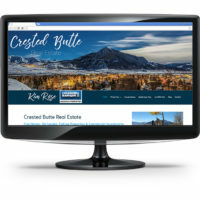 Our custom coded websites eliminate the constraints of a WordPress template, giving us more flexibility in design, including a fully-functional mobile website. 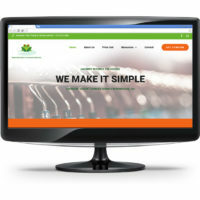 This is especially great for integrating a management system or custom shopping cart. 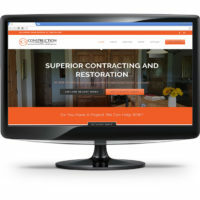 BPetersonDesign makes custom websites easy and interactive with our mock-ups you can view before it launches and a designated Web Team member working with you along the way. 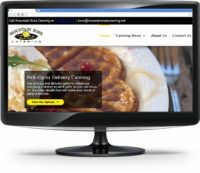 Along with web development and design, we also offer web hosting and maintenance packages. Any changes you send over to us will attentively get updated. No more waiting on your IT guy to get the changes done in a timely manner. 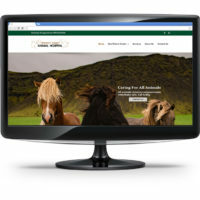 Hosting your website with us allows you to bypass having to call a corporate office in who-knows-what country and having to try and talk “tech” with them. If there are any problems with your website, all you have to do is contact us and we will handle everything for you. Schedule a free initial consultation below! 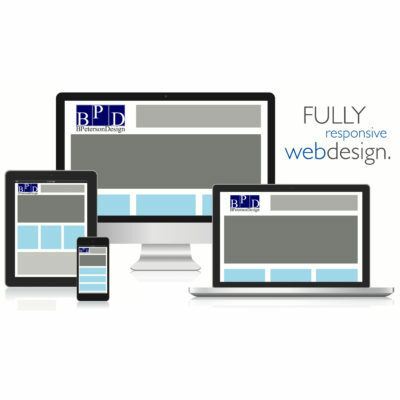 Our responsive website design is the name of the game. 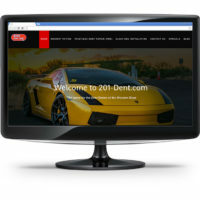 Your site will look great and it will function perfectly on all devices, which include phones, tablets, and desktops. 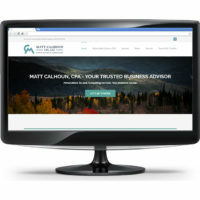 This will make your website Google-friendly… and customer friendly, too! 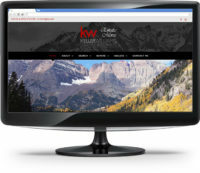 How your website responds to different screen sizes is crucial for your web design. If customers are frustrated with your design because it doesn’t respond to the device they are using, they will leave your website. This affects your bounce rate and leads to bad Google ranking. 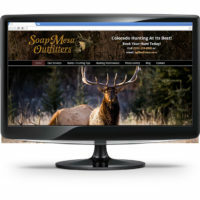 We’ll help make sure your target audience will find your website once it’s launched. Choosing the correct target phrases and having the best content write-ups to reach your target audience is crucial for your website. That is why working with our Content Creators will have maximum results when building your new web design. 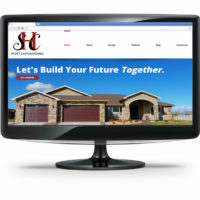 Our professional content creators will work with you to make sure your website has the content it needs. While you are responsible for the content, we understand transforming write-ups into a professional slam dunk is difficult to do. This is why one of our friendly Creative Writers on staff will work with you one-on-one to collect the facts and data about your business, and turn it into professional, SEO-rich write-ups. 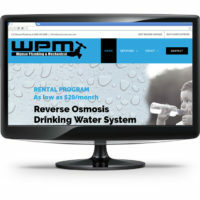 Our Monthly Maintenance Package gives you the opportunity to improve your web design after it’s launched. Making small updates to your website once it’s live keeps it from looking stagnant, which is a negative to search engines. Keeping your website updated keeps your following coming back and your content evolving. 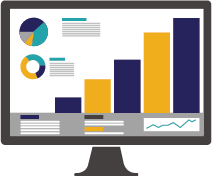 Your new website will have Google Analytics, which will allow you to see who’s interested in your business and will allow you to discover who is visiting your site and how they’re engaging with it. The statistics don’t lie! 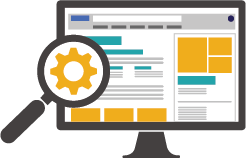 This will allow us to continue tweaking your website after it is launched to receive the results you want to see and will give you a step over your competition. Does not include digital marketing. 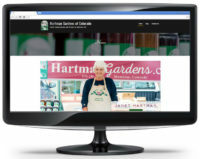 Your website content comes from you! Our Content Creators will take the write-ups you give us and make it sound professional, while implementing SEO (Search Engine Optimization) within the content. 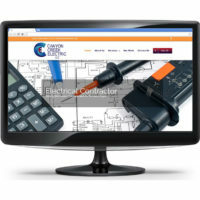 You will be working with a point-of-contact to streamline the system so you’re only working with 1 person from our team. 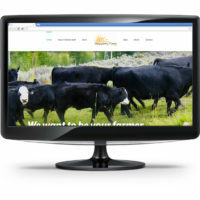 We can also grab the content that’s already up on your existing website. 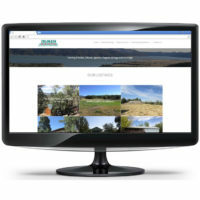 You can edit, add, or remove anything once your new business website is launched. The pages you receive depends on which package you choose. 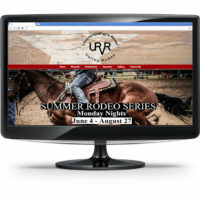 Once you consult with our team and decide on what content will be displayed on your new website, we can then narrow down the total pages that will be displayed on your professional business website. Yes! BPetersonDesign prefers that you use your existing domain (this is best practice for SEO as well). We will need your credentials to your provider in order to transfer your site from your old hosting to our hosting. 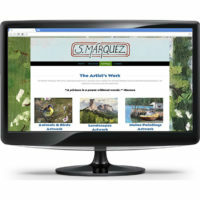 Does my website come with email? Yes! It will be up to you to determine how many emails you want with your new website. 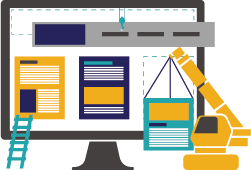 We recommend replacing your existing site with your new business website so your content and placement doesn’t conflict with each other. By keeping your old site up and running and launching a new website, the sites may have duplicate content which will be ignored by Google. 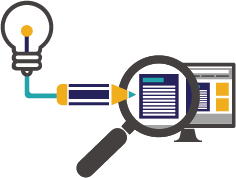 Having duplicate content and multiple websites will diminish any efforts towards SEO and great ranking on search engines. What is included in the monthly updates? 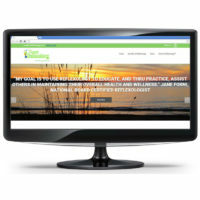 You get a set amount of hours for monthly updates with each website package. If the change request exceeds the allotted time in your monthly plan, we will let you know. 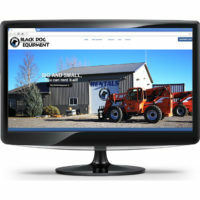 Our hourly web development rate outside of your chosen package is $75/hour. 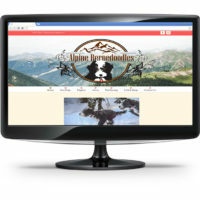 Each website comes with reliable hosting, security, update maintenance, and an SSL Certificate which has a monthly cost to us associated with it. All packages beyond the Starter also include a monthly Digital Marketing package. Yes, our hourly rate is $75/hour. If I get a monthly maintenance package, do they roll over? No, monthly website updates do not rollover to the next month if you do not use them. We will launch your completed website in a matter of weeks, not months, as long as you do your part in sending us all your content. If you’re not able to send us all your content within two weeks, no worries, we will launch the website with what we have and then will make your requested monthly updates. You will own the site once you fulfill the term agreement. After the contract term is completed, BPetersonDesign can transfer the site to your requested provider if you wish to host with someone else. Yes! 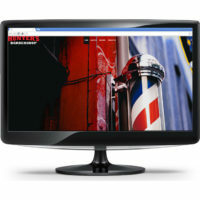 All websites provided by BPetersonDesign come with SEO functionality built in. 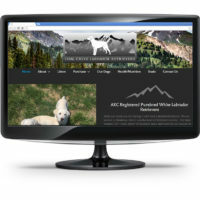 Websites do not come with graphic design work included. We do have Graphic Designers on staff that you can talk to for logos, re-branding, or any other design projects. These will be priced separately through our Graphic Design team. Content: To efficiently launch your website, BPetersonDesign will need all the text content for your new website within two weeks. We have a Content Creator on-staff you can work with to help get content together at no additional cost. Logos/Other Graphics: High quality graphics in either .jpg or .png. 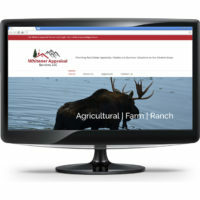 We have an in-house graphic designer if you need new logos or custom graphics created. 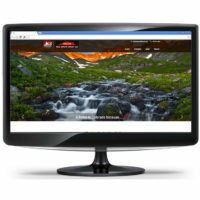 Images: High quality images are crucial to a beautiful site. If you don’t have your own high quality pictures, we will use high quality stock photos. Sitemap: A clear outline of which pages will be included on your new site. Contact Forms: Additional information you want on your online forms beyond name, email, and phone number. Existing Logins: If we are using an existing domain, we need to have your login information prior to starting. Click on the image to be taken to our clients’ website.